They say never work with children. Why not? Embrace creative director Andrew Paterson outlines the benefits of working with youngsters and local communities. A stereotypical view of designers is that they like sitting in their ivory towers spending time on their creations, convinced that their vision was the best way, gloriously isolated. The growth of digital and social media has changed this view, enabling collaborations across all media and allowing designers to work more easily with illustrators, artists, brands or musicians. But suggest collaborating with children and local communities and you’ll see far less enthusiasm. Why? Is it the fear that they won’t add anything to the process because they’re not professionally skilled? Is it because it is too much hard work and takes too much energy with uncertain results? The old adage of never work with children and animals is laden with unpredictability and not toeing the line. But aren’t these the exact traits that creatives love and strive for? So why not embrace this resource and run with the unpredictability? Why not involve them, give them a framework within which to think differently and see what happens? Un/Surprisingly, this approach has recently generated some successful creative projects. When ITV undertook a massive rebrand in 2013, CITV was naturally included with a need to create a new logo that would integrate the ‘ITV’ while still giving kids a sense of ownership over the channel: ‘by kids, for kids’. As a result, ITV Creative came up with the ‘C’ mark, which lends itself to any imagery in a charming and cute way, giving the brand total flexibility and longevity. This launched with CITV’s Share A Story competition, where kids could sketch out a storyboard with the best being brought to life by CITV animators. This provides an ever-evolving, but ever-familiar visual identity. No wonder it won a Gold Lion in Cannes in 2013. 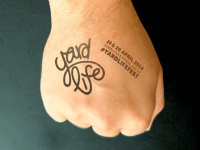 The Link is a £5.5 million Lottery-funded project reaching out to disenchanted young people in the Thamesmead area of London, providing them with a secure base to connect with the arts, physical activities and education. The Link features a programme of events at its performance space, climbing centre, gym and watersports facility together with an advanced media suite with recording studio and rehearsal rooms. 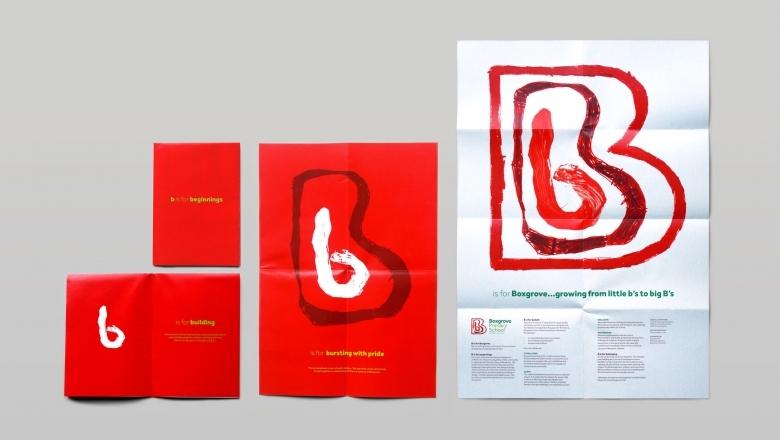 Alphabetical worked with the local youth groups for 18 months, hosting a series of workshops to get their input and help shape the creative process, generating a series of positive messages, which formed the brand message. 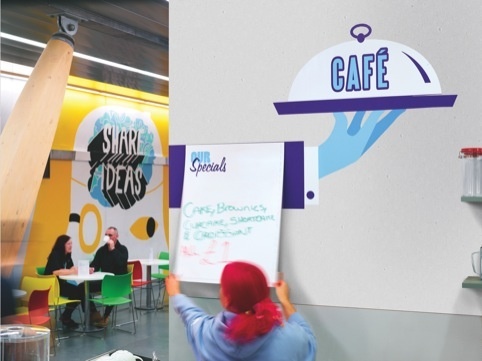 The consultancy turned the community’s output into a series of characterful illustrations which evolved across the website, wayfinding, uniforms and marketing as well as being handpainted on the walls of the centre itself. The output was eye catching, engaging, and genuine – rooted in the real and visceral. 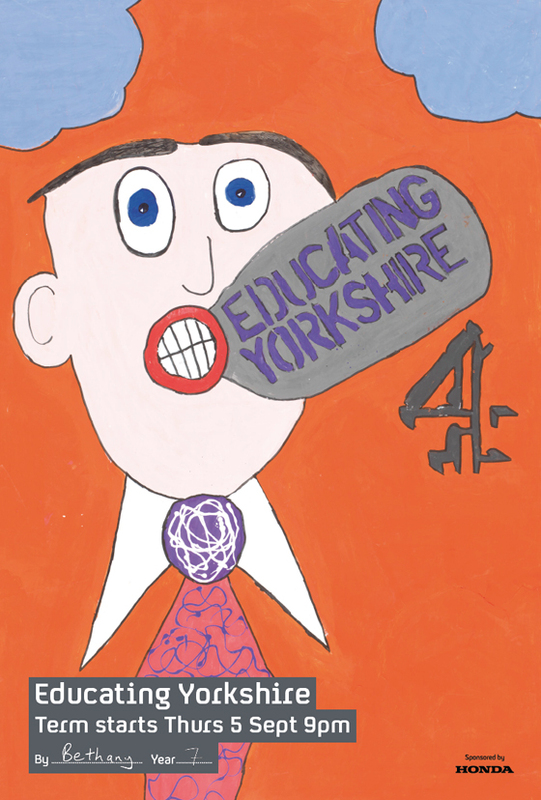 4Creative turned to the pupils at Thornhill Community Academy near Dewsbury, the actual stars of Educating Yorkshire, to develop the advertising for the second documentary series which would explore life within school. In July 2013, the Channel 4 creative team visited the school, held an assembly on the principles of advertising, showing pupils how ads were made and what they needed to communicate, and then set them homework. A huge number of students submitted artwork, 100 pieces in total – some which took the mickey out of the previous Educating Essex series. These were then shortlisted and adapted for billboards, bus shelters and press ads as part of the marketing campaign for the series. The results were eye-catching; the drawings appeared unique within the media landscape of finely crafted imagery. Boxgrove Primary School wanted a new identity to help visualise their continued Ofsted ratings success, increased intake, and newly acquired Academy status: the intention being to firmly position the school as a progressive community school developing rounded global citizens. With a varied audience ranging from pupils to parents, teachers, governors and more, it was important to involve and engage this wide community on this emotive journey. Embrace agreed the brand platform with the leadership team and involved the children allowing them to actually create the brand toolkit for their school. The concept of growing from ‘little b’ to ‘big B’ was developed, taking inspiration from the range of ages in the school and how the school helped ‘grow’ the pupils behaviourally and intellectually. This concept then informed a huge bank of artwork from all 500 pupils based on the idea of big and small, which developed into the logo, signage and literature. The project really aligned the whole community and gave them a sense of pride and optimism. Since 2011, Embrace has been working with the Shakespeare’s Globe Education project ‘Our Theatre’, where participating schools work with a Globe education practitioner to devise and rehearse a scene from Shakespeare. 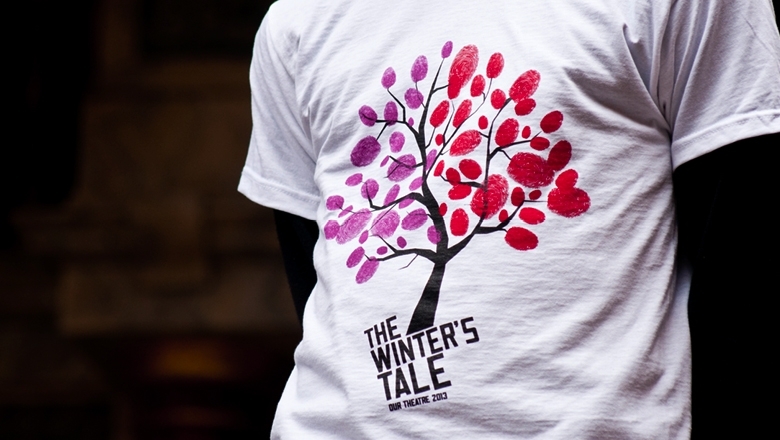 Naturally, it made sense to include children in the projects’ marketing, so every year Embrace has held a series of workshops with the company’s own methodology working with the pupils involved to generate ideas and themes for the branding elements – posters, T-Shirts and programmes. The ideas and concepts are then developed into more polished designs and then shared, making sure that the vision of the kids is fully realised. This creates a real sense of ownership and pride in a project that brought many different schools and backgrounds together. The benefits of working with children are clear. Not only do these collaborations unearth new and unexpected directions, add warmth and energy, but they also bring the very audiences on the journey, sharing the ownership of the brand/new creation, much in key with current digitally-influenced trends. Andrew Paterson is creative director at Embrace.